First Listen: The Antlers, 'Familiars' Each of Familiars' deliberately paced songs sprawls to between five and eight minutes, and each takes a thoughtful journey in the process. The result mixes subtlety, grandiosity and beauty. 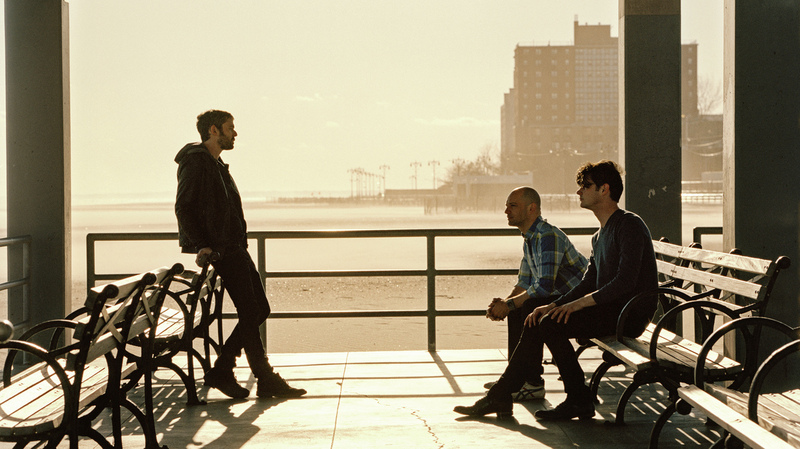 The Antlers' new album, Familiars, comes out June 17. The 2009 album Hospice sparked a major breakthrough for The Antlers, but it's not the sort of success a band would want to duplicate, even if it could. As the title suggests, Hospice was built around a dark unifying theme — an examination of the events surrounding the slow death of singer Peter Silberman's friend — so the record comes by its desolate, life-and-death intensity honestly. But it was hard to imagine at the time how the Brooklyn trio would make another record, let alone carve out a long-term career. Burst Apart, from 2011, did its job surprisingly effectively, maintaining the swelling melancholy while letting its subject matter sprawl out beyond grief. Familiars is even better: Each of its deliberately paced songs sprawls to between five and eight minutes, and each takes a thoughtful journey in the process. Ever more sure-handed and ambitious in its arrangements, the band crafts gorgeous backdrops for Silberman, whose soaring falsetto periodically brings to mind Jeff Buckley. For all its bruised grace, Hospice isn't an easy record to revisit: Its rawness isn't the stuff of everyday moods. Familiars takes many of that great record's strengths — its emotional openness, its rich sound, its mix of subtlety and grandiosity, its funereal beauty — and expands on them in a more approachable, less punishing setting. It's still informed by loss, but also by the fact that life has been going on ever since.